In 1897, an entrepreneur named John Henry, who was involved in many types of business in Sudbury, began a furniture and undertaking business on Elgin Street. A building contractor by trade. Henry's influence can still be seen in the construction of some of Sudbury's landmarks. Mayor of Sudbury in 1912 and 1913, Henry served on numerous committees when he was a member of council. As president of the Canadian Embalmers Association, he influenced the passing of the Embalmers' Act of Ontario. In 1922, five years before his death, John Henry sold his undertaking business to his employee, Arthur A. Jackson, and the business continued operating under Jackson's name. Jackson had been in the funeral business since the early 1900s. After earning his diploma in embalming and funeral directing, he worked in Sault St. Marie for the firm of T.E. Simpson Funeral Home, and moved to Sudbury in 1911. In 1933, Jackson moved his establishment to a new location on Larch Street, which included a modern chapel. He served as president of the Ontario Funeral Service Association from 1922-24, and at the time of his death was the oldest living past president of the association. In 1934, Arthur Jackson invited Ray and Doris Barnard to Sudbury. Jackson wanted to retire, and was looking for someone to carry on his business in the proud tradition he had built. Ray Barnard graduated from the Canadian School of Embalming in 1931. On January 1, 1943, Arthur Jackson retired, and the Jackson and Barnard Funeral Home came into being. It expanded to its location on the corner of Larch and Paris Street in 1959. Arthur Jackson died on July 23, 1960, in his 82nd year. Ray Barnard made some great contributions to the Sudbury community. Active in sports and community projects, he was a past president of the Ontario Funeral Service Association and was instrumental in organizing the Northeastern Ontario Funeral Directors Association. In 1984, after a long career, he decided to sell his business to the Lougheed family. Ray continued to take an interest in the business, and celebrated sixty years in funeral service in 1991. He died in December 1992 after a short illness. Ray Barnard is remembered by the words he lived by: "Kindness and sympathy and the human touch are what every family needs." Marguerite and Gerry are recognized as trailblazers in funeralization over the years, changing and adapting the services they provide according to the wishes and individual needs of the families they served, and often flying in the face of conventional thinking. Over forty years ago they started offering receptions after funerals - long before this practice became the norm. They saw a need for this service, and initially welcomed families into their own home, which is two doors away from the original funeral home. Expansion over the years has enabled them to host such receptions in one of their funeral homes fellowship rooms. They instituted after-funeral visits as a natural extension of their services - not to sell pre-arrangements, but simply to ensure that all went well with the funeral service, and to inquire after the well-being of the bereaved, This is another practice they have followed for over forty years. Serving coffee in the funeral home, making a smoking room available, using a non-traditional fleet colour (Lougheed Gold), putting together a warm and home-like atmosphere in their funeral homes, which are filled with antiques and memorabilia, and many more unique approaches to funeral service have all set new standards. In more recent years, the Lougheeds have begun audio taping funeral services, and presenting this tape to the family. Another example of the Lougheeds keeping on the cutting edge of funeral service is the establishment of the "Annual Christmas Service of Remembrance," which is so popular and so helpful that it has been televised to the Sudbury community for the past twelve years. Gerry Lougheed Jr., has also strongly influenced funeral service over the years. A native Sudburian, Gerry Jr. graduated from Humber College in 1976 with the highest Board of Funeral Services exam grade in all of Ontario. Gerry Jr. received the Premier Medals as Outstanding Health and Sciences Graduate for Ontario Community Colleges in the past 25 years. He is a Funeral Director and Vice President of Lougheed's Limited. Since 1982, Gerry Jr. has been the host of the Northeastern Ontario Easter Seals Telethon. In May of 1991, Gerry Jr. received an Honourary Doctorate of Laws from Laurentian University, and later that same year received the Ontario Medal for Good Citizenship. In 1992 Gerry Jr. received an honourary membership in the Royal Canadian Legion, Branch #224. He is an honourary Steward for the United Steelworkers of America, Local 6500. 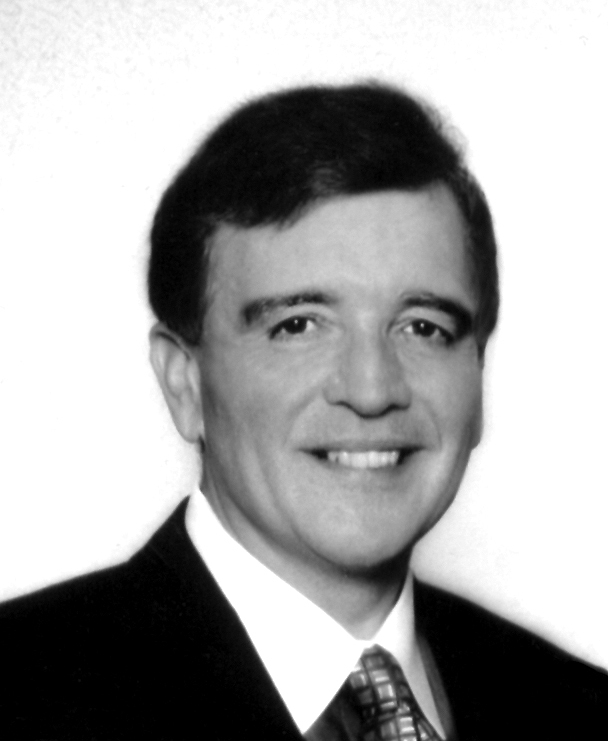 In April 2001, Gerry jr. received an Honourary Membership to the Ontario Medical Association, and later in 2001 he was named Newsmaker of the Year. He was also named Man of the Millennium by the Sudbury & District Multicultural Association. In 2002, Gerry Jr. received the Queen's Jubilee award, and in 2004 he received the Community Builders Award for his leadership in the Health Sector. Gerry Jr. is on the Board of Directors for Laurentian University, is a Moderator and Lecturer for the Northeastern Ontario Telehealth Network Pastoral Care Series, is the Director of the Northeastern Ontario School of Medicine, and co-Chair of the Bursary Campaign, having raised over $6 million. As chair of the Capital Campaign for the Sudbury Regional Hospital's Regional Cancer Centre and St. Joseph's Villa for the Elderly, Gerry Jr. has helped raise over $50 million in 2007-2008. Gerry Jr. also chairs the Board of Directors of the Sudbury Hospice, and chaired the My Sudbury Needs a Hospice campaign, raising $4 million for the capital construction. Gerry Jr. is the founding Chairperson of the Sudbury Regional Palliative Care Association, the founding President of the Rotary Club of Sudbury Sunrisers, the founding Chairperson of the Bereavement Foundation of Sudbury, and the founding Chairperson of the Northern Cancer Research Foundation. Gerry Jr. is a past Chairperson of the Board of Funeral Services for all funeral directors in Ontario, reporting directly to the Minister of Health, and a past President of the Northeastern Ontario Funeral Directors Association. He is also a past Chairperson of the Laurentian Hospital Cancer Care Campaign and the Laurentian Hospital Foundation, and past Governor of the Laurentian and Memorial Hospital Boards. Gerry Jr. is a past member and past Vice-Chairperson of the Board of Directors of Cancer Care Ontario, and a former member of the Prime Minister's National Forum on Health. Gerry Jr. is a past chairman of the "Heart & Soul" campaign, which entailed one unified campaign for the Sudbury Health Care Facility which raised $23.5 million. He is also Past President of Community Groups such as the CNIB and the Canadian Cancer Society, Sudbury Branch. Geoffrey Lougheed continues the Lougheed legacy of dedication and service. He graduated as School President from St. Charles College in 1977, and graduated from Funeral Service Education at Humber College with honours as the top overall student in Ontario in 1978. Since graduating, he has worked with Lougheed's Limited, currently serving as Vice President of Operations. Geoffrey is Past President of Northeastern Ontario Funeral Service Association and former Licensing Examiner for the Ontario Board of Funeral Services. He served two terms for the Ontario Government on the Commercial Registration Appeal Tribunal. In 1982, he was a Founding Member of the Sudbury United Way. He is a Past President of the Rotary Club of Sudbury, served as District Governor's Representative in Northeastern Ontario, in 1994 was named Rotarian of the Year, in 2001 received Four Avenues of Service Citation. He is a Benefactor and Paul Harris Fellow. In 1986 he and the late Rev. Fr. B.J. McKee, Director of Catholic Charities founded the Sudbury Food Bank. This organization represents over 40 Sudbury and area Food Banks and has provided over 3 million dollars worth of food to the community. In 2001, Geoffrey chaired the successful community fund raising of $700,000.00 for a Food Warehouse facility. The doors officially opened on June 27th, 2001 at the McKee Wong Centre. This centre provides a central food warehouse, a working food bank, thrift store and community learning centre. In 1980 Geoffrey was recognized by the local Sudbury Branch of the Red Cross, where he is a Past President of the Board of Directors and an Honourary Life Member of the Canadian Red Cross. 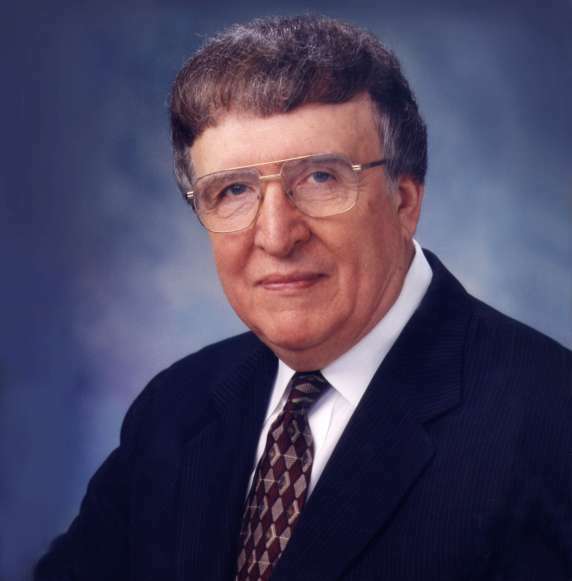 He was Chairman for 10 years of the Salvation Army Advisory Board of Sudbury, which he currently is a member Emeritus. He was a long term member of the Canadian Advisory Board and an Honourary Life Member of the Salvation Army. In 2003 he received the first ever National Volunteer of the Year Award. He is past Board Member of the Sudbury and District Alzheimer Society and St. Charles College Alumni. A past Governor of the Sudbury Theatre Centre. Geoffrey is an Honourary member of the Royal Canadian Legion Branch 224 Copper Cliff and recipient of the Legion Friendship Medal. He is a recognized volunteer of the Toronto Hospital for Sick Children. He sat on the Heart and Soul Steering Committee which raised over $50 million dollars for an expansion of the Sudbury Regional Hospital, a doubling of Northeastern Cancer Centre and the establishing of a new Long Term Care Facility in Sudbury, St. Joseph's Villa which opened in 2004. Geoffrey chaired the Sudbury St. John Ambulance Board of Directors for 10 years, he served as Northeast Ontario District Chair, is a Past President of St. John Ambulance Ontario Council Board of Directors. He served with the National Board of Canada known as the Priory of Canada. Under the authority of Queen Elizabeth II, he was invested by Governor General Adrienne Clarkson as a Knight in the Most Venerable Order of the Hospital of St. John of Jerusalem. He currently is the immediate past Chair of the Sudbury Regional Hospital Board of Directors which provides Health Service across Northeastern Ontario and a member of Contact North Board of Directors. He successfully chaired the building of the Samaritan Centre, where he spearheaded fund raising of over 2 million dollars for a new facility which houses the Blue Door CafÉ Soup Kitchen, Elgin St. Mission, a Health Clinic for street people and a counselling service for the disadvantaged, it opened in the Spring of 2005. Geoffrey is happily married to Colette Blais-Lougheed. Colette (Blais) Lougheed is a native Sudburian who graduated from Ecole SÉcondaire MacDonald Cartier in 1977, and from Humber College of Applied Arts in Funeral Services Program in 1980. 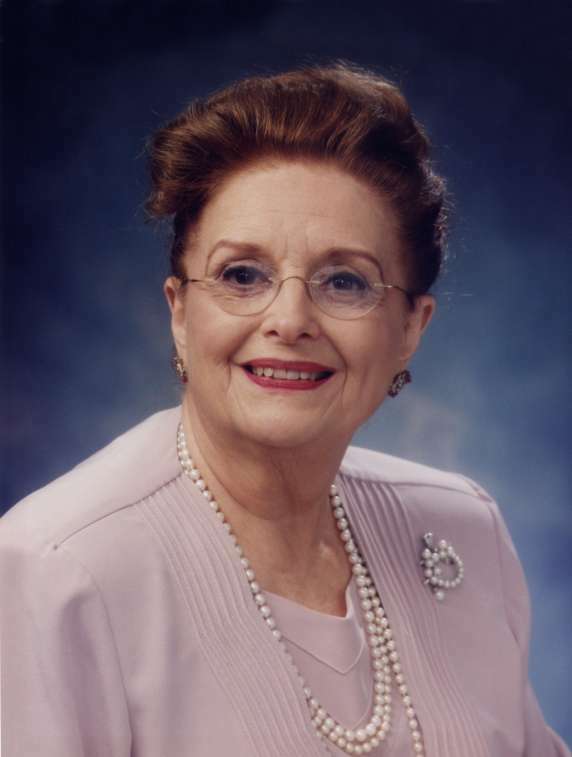 She worked as a licensed Funeral Director at Co-Operative Funeral Home from 1979 to 1985, and since 1985 has been a licensed Funeral Director with the Lougheed and Jackson and Barnard Funeral Homes. Colette is a lifetime member of St. Jean de BrÉbeuf Church. Colette is a member of the Northeastern Ontario Funeral Services Association, a member of the Club Richelieu FÉminin de Sudbury, a lecturer, educator, and facilitator of Funeral Services in the Sudbury Community, a board member of the Sudbury-Manitoulin Children's Foundation, and currently sits on the Advisory Board of College Boreal's Formation en Services FunÉraires. Colette is a past member of the Board of Directors of the Carrefour Francophone and a past member of the Sudbury Business and Professional Women's Club. 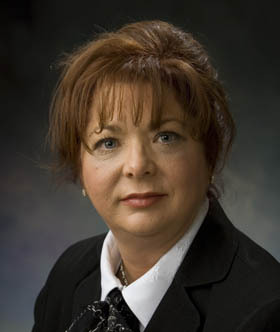 Colette is also a Licensed Practical Examiner for the Board of Funeral Services in Ontario.